Premium cherries grown in the lush valleys and mountains of the American Pacific Northwest. 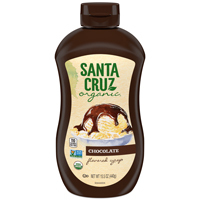 Top off your sundae or cocktail without all those artificial colors and flavors. The color of these cherries is more muted than the traditional atomic-red ones. But their texture and flavor are right on, and they taste great. Additional information from the manufacturer: Made in a nut-free facility. Does not contain any corn or corn derrived ingredients. Misc. info: Color is from radish and black carrot. Natural flavor is lemon concentrate. Sugar is cane sugar. Vegetarian info: Sugar is confirmed vegan. Each jar contains 14oz /400g. These cherries are so delicious on ice cream and in drinks! And it is great to be able to eat them because they are natural compared to traditional maraschino cherries, which we gave up years ago. 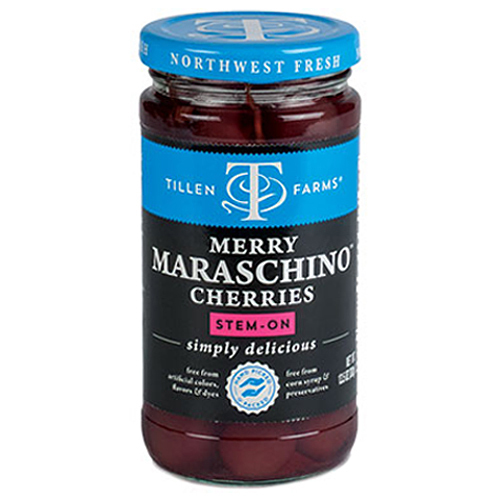 These are very good and taste very similar to traditional maraschino cherries. They are far superior to the CherryMan "Farm to Market" brand. Wonderful even with picky kids! So much better for you! These cherries are incredibly good. We put them in drinks, top desserts and feel good about the all natural ingredients. We've read how regular maraschino cherries are made and boy is that scary! We can feel good about these cherries knowing exactly what's in them and how they are produced. We also save the juice and use as grenadine without the fake red dye. These cherries are amazing! Delicious, I got them because my kids are always asking for cherries for their drinks or for ice cream, and I refused to buy those other icky, fake red things. I will definitely be back for more of these!